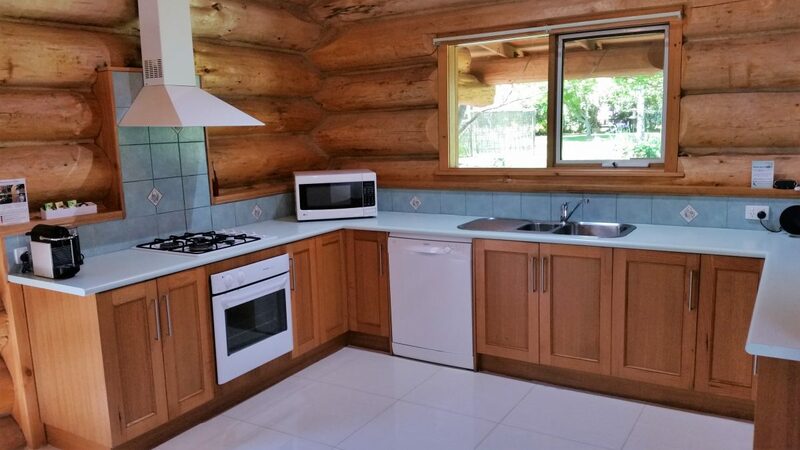 One sure-fire way to rack up some cheer is a stay in authentic log cabin accommodation like this little beauty. It's a traditional Canadian-style number, so you can rest assured it's built to handle any conditions that Australian weather can throw at it. 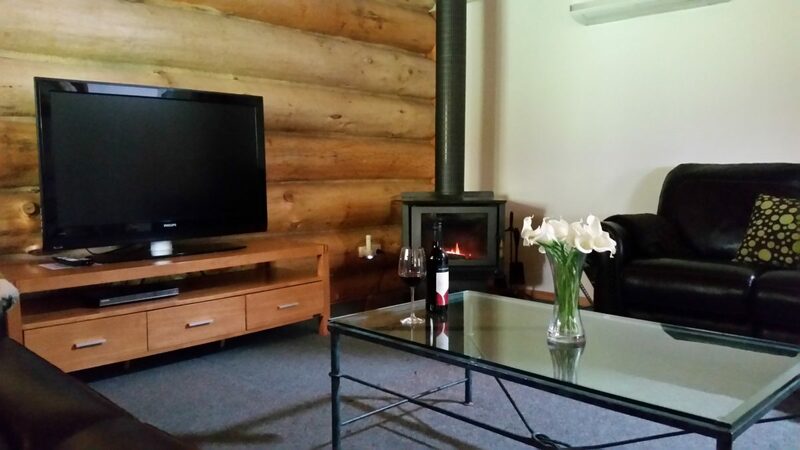 A log fire and spa keep the cold at bay in winter, and reverse cycle A/C keeps it cool in summer. And operations are carbon-neutral, thanks to solar panels, double-glazed windows, a skylight and the super-insulating powers of 30 tons of plantation logs. 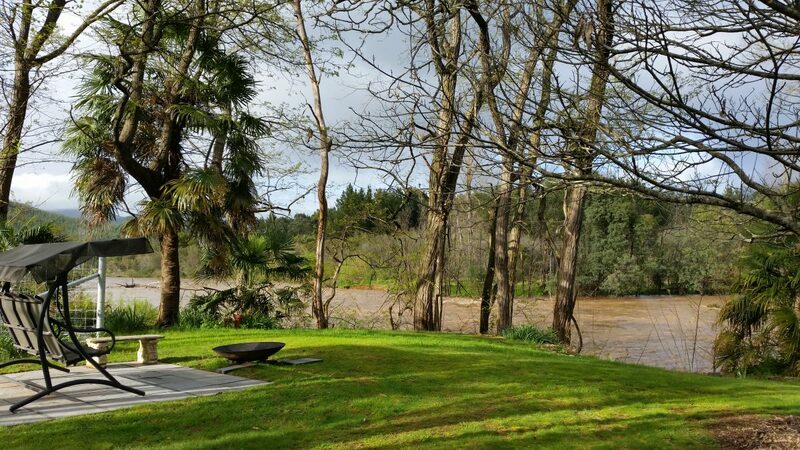 Set on two acres of gardens with Ovens River frontage in Porepunkah, just five minutes' drive from Bright, Tewksbury Lodge offers, Self Catering Accommodation with all the features and facilities you expect from an accredited, 4 1/2 star, multi award winning lodge. 2 bedrooms. Main with a luxurious King sized bed. Second bedroom has a Queen sized bed with a fold out single to provide for a 5th person. 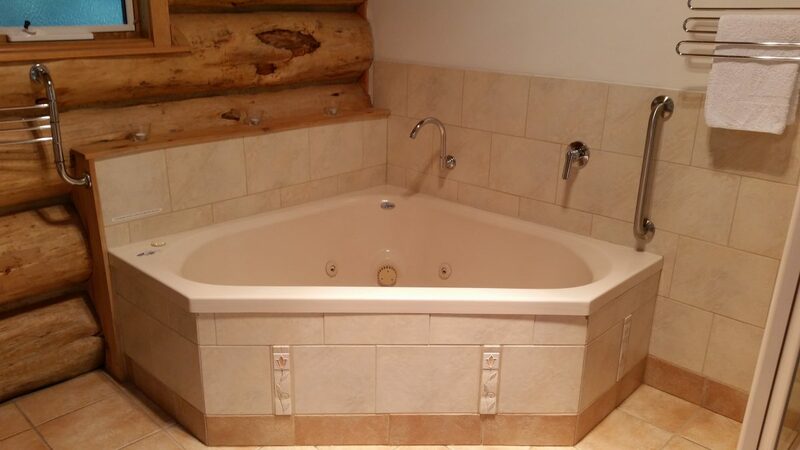 We do live on the property in a separate home, so we are available if required. 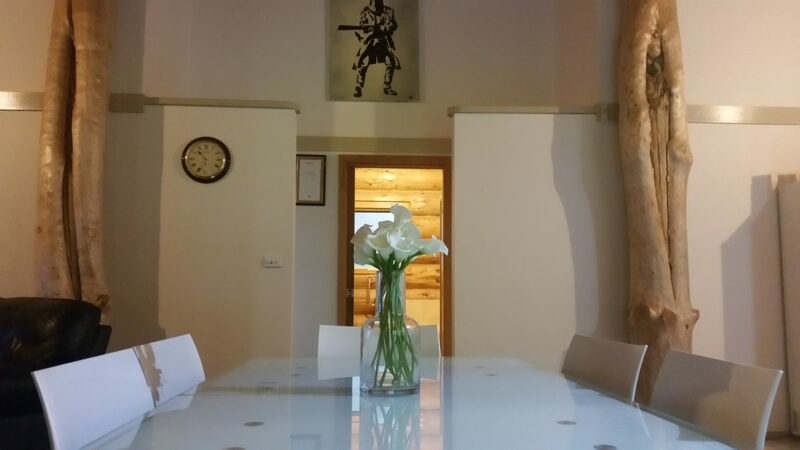 However we respect your privacy and will leave you alone to enjoy your stay and the peace and quiet, unless you contact us. The rear of the property is quite secluded and reserved for your privacy, but guests are certainly free to enjoy the rest of the grounds. 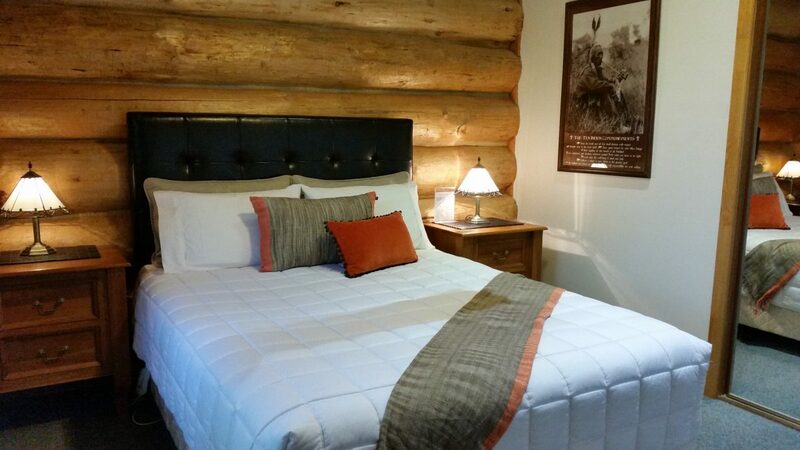 The Lodge provides an ideal retreat, with a warmth and ambience only a true log home can provide. Relax on leather reclining sofas, or enjoy your spacious veranda and take in the secluded landscaped gardens. We take care to ensure that our facilities are of the highest standard and strive to meet and exceed the expectations of our guests. 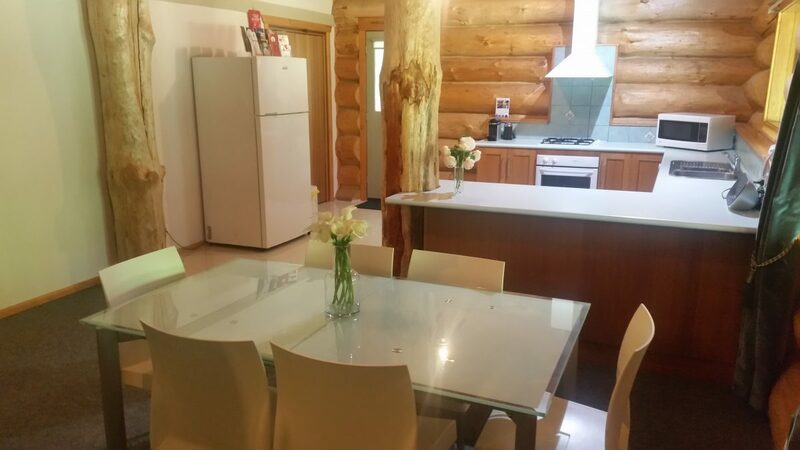 Tewksbury Lodge is a carbon neutral, Eco Friendly dwelling. We pride ourselves on being environmentally sustainable. Solar panels collect the suns energy and generate most of the properties electricity needs. Grid electric power is 100% renewable, sourced from Hydro Electric generation. 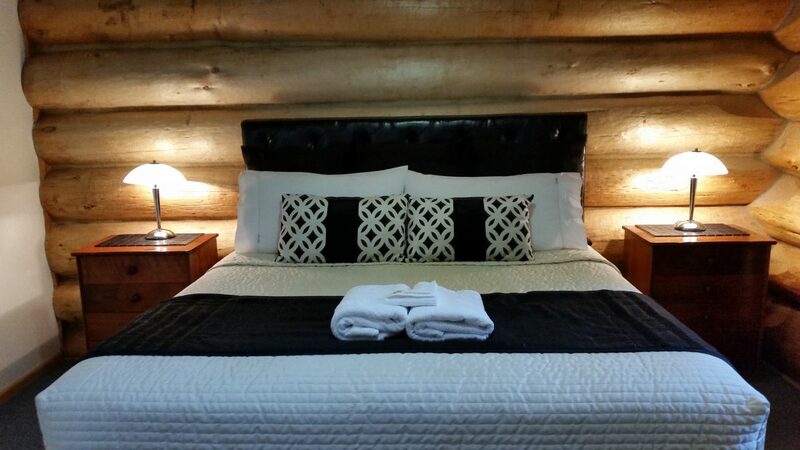 The Lodge is constructed in a traditional Canadian style so it effortlessly handles Australian conditions. A conventional house has an insulation value of R3 or R4. 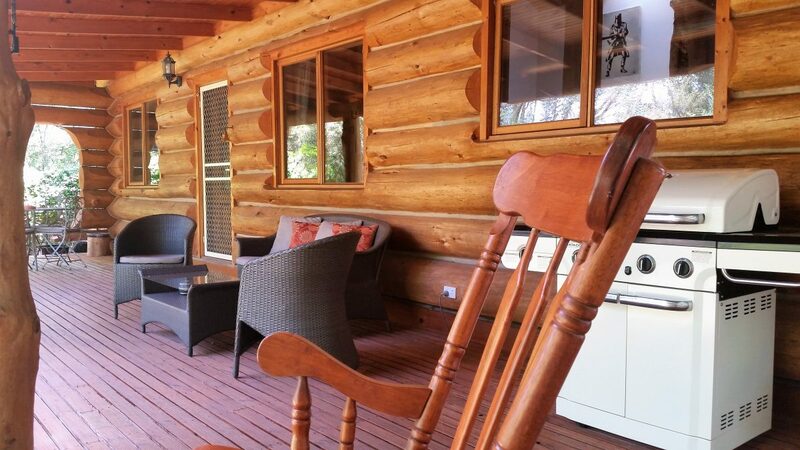 This Log Cabin has an insulation value of R16, thanks to the super insulating power of 30 tons of logs, which dramatically reduces heating and cooling requirements. Large logs have another wonderful property - their thermal mass; they are capable of storing heat. When the ambient temperature is lowered (e.g., at night) they give back heat into the rooms until the temperature is again equalised. Double glazed windows further increase insulation characteristics. A skylight minimises the need for artificial lighting during the day. Ceiling fans reduce heating and A/C needs. High efficiency instant gas hot water is used for its suitability to intermittent usage. LED lighting is used extensively for optimal energy efficiency. 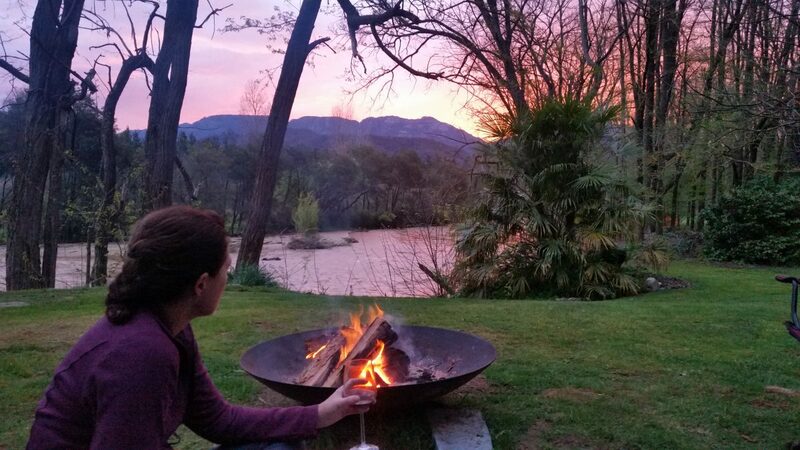 Treat yourself to this unique accommodation experience.